If you are looking for free PSP games, you can visit here to download more. Homebrew are applications developed not by Sony, but by the community. The different types of homebrew applications range from text editors to ISO loaders. Due to the latter one, which enables piracy, Sony is strongly against homebrew and does its very best to contain it. There’s a constant battle between the homebrew community and Sony. Each fix is quickly followed by another exploit. Today we’ll guide you through a method that works for nearly all PSP’s, disregarding the current firmware. It even allows you to unbrick PSP’s (people call a PSP bricked when it stops working due to software abnormalities). The Pandora Battery method requires either the use of a PSP with custom firmware, or a spare battery pack. So if you haven’t got one of those, but you’ve got firmware 3.50 or below, refer this guide. The only PSP that is not crackable yet is the PSP-3000. You can view your PSP model at the bottom of the device. The 3000-series are the newest PSP’s on the market and the Pandora Battery does not work with these models. If you have one of these, do not proceed! Using these methods is 100% legal (although Sony obviously doesn’t like it), but it CAN brick your PSP (every model except the PSP-3000 can be unbricked using a working Pandora Battery, though). It may also void the warranty of your PSP system as you would be working with delicate parts like the PSP’s flash memory. So if you screw up, we won’t be held legally liable. If this sounds like too much risk to you, please don’t go any further. The homebrew community was always looking for different ways to get in. Sadly, Sony kept closing these entrances one by one, and there are only so many doors in a house. At a certain moment, there was an unexpected turn – a new way in that worked for all available PSP’s (at that moment). They had ran out of doors, but they had found a sledgehammer! 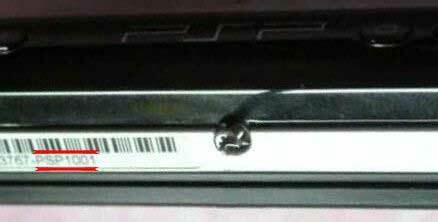 They reprogrammed the PSP battery (naming it Pandora Battery), which enabled them to overwrite the PSP’s flash memory. This method uses a hacked battery (Pandora Battery), which then runs specific software to hack your PSP from the ‘Magic Memory Stick’. All memory sticks with the “Pro Duo” tag should work. Official ones will work better though. There are a number of different ways to apprehend the Pandora Battery set, we’ll be discussing them below. This is the best (and cheapest) way of doing so. If you don’t happen to have two PSP’s lying around, try to borrow a friend’s. Start out by putting the Pandora Installer on your CFW PSP. Do so by moving the pan3xx folder from the downloaded archive to E:\PSP\GAME (where E: is your PSP). 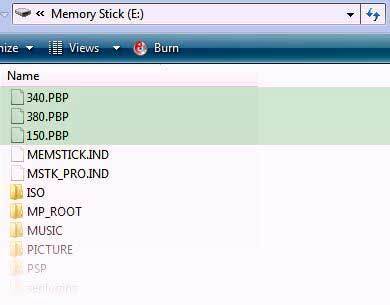 Go out of USB mode, navigate to Game -> Memory Stick™ and click on the Pandora Installer to start the application. In the application, go to ‘MemStick and MS-IPL options‘ and select ‘Repartition‘. When your PSP has restarted, connect through USB and recreate the E:\PSP\GAME hierarchy. Again, drop the pan3xx folder in here. Go out of USB mode again, navigate to Game -> Memory Stick™ and click on the Pandora Installer to restart the application. 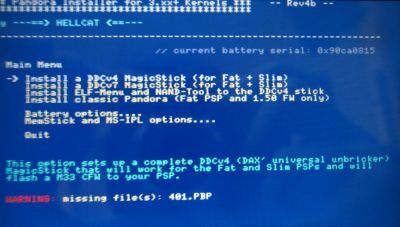 This time, select Install a DDCv4 MagicStick (for Fat + Slim), this is the version that works best with both Fat and Slim PSPs, and wait for it to finish. Finally, choose to install the ELF-Menu and NAND-Tool. Some of you might not find this necessary, but some slim PSP’s give trouble without it. Next, press battery options to produce your Pandora Battery. You can also make a back-up of your battery’s serial number here. This can be used while restoring your battery later on. As an alternative, you can also use an automatically generated serial number. This should work fine, but make a dump if you want to play safe. Congratulations! You are now the proud owner of a Pandora Battery and a Magic Memory Stick. There is another way though, if you can’t get your hands on a CFW PSP. You can still hardmod your battery, but this involves cutting it open and quite more risk than the above method, so proceed with caution and completely at your own risk. Also, don’t go buying an extra battery for this method, the option below is cheaper and guaranteed to work. As I have not tried this myself, I will send you to someone who has. Follow this picture-guided tutorial step by step, and you should be fine, but don’t come crying to us if you mess up. 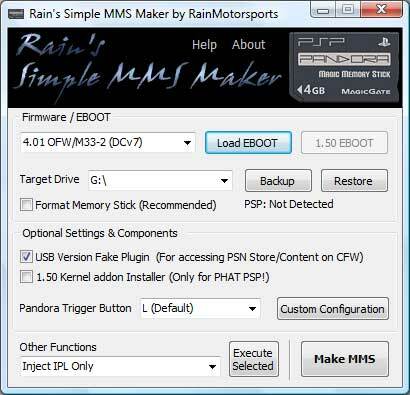 Once you are done, you can follow these steps to make a Magic Memory Stick without the use of a CFW PSP. Of course it could also happen that you don’t have any friends with a (custom firmware) PSP, nor a spare battery. Instead of buying a brand new battery to cut open, you can always spend less money for more certainty. 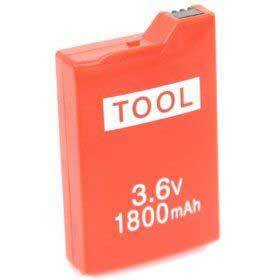 Available on eBay and Amazon are ‘Tool’ batteries, from Datel. These are batteries that are already modified! (i.e. you’ll only need a Magic Memory Stick). If you don’t have a CFW PSP you can use to mod your batteries, you probably won’t have a PSP to make you a Magic Memory Stick either. Luckily, it’s also possible to do this directly through your PC, using Rain’s Simple MMS Maker (available for Windows Xp & Vista). Download it here. You’re also going to need a 1.50 and 3.80 eboot file, which can be downloaded respectively here and here. To use the program, just select DCv4 from the dropdown list and locate the 3.80 eboot file. Also check the Formatting checkbox and choose to add the 1.50 Kernel addon if you have a fat PSP. Now, to make your MMS, just press the big button at the lower right. Find out how to use your Pandora Battery Below. Make sure you have your Magic Memory Stick inserted and put in your battery, a black and white menu should pop-up. Then, go to recover and choose to install the 3.80 Custom Firmware (M33). Just wait for it to finish (grab some coffee, this can take a while), and you’re done. You are now running a 3.80 M33 Custom Firmware! As you might have noticed, you’re on CFW 3.80 M33 now; that isn’t very high up the ladder, considering CFW 5.00 M33-3 is already available (or even higher, by the time you read this). Follow the steps below to upgrade to the latest custom firmware. Go to Game -> Memory Stick™ and open the installation file. After verifying the eboot, it’ll ask you for confirmation. Press X to continue. Follow the on-screen instructions to update. The update will take five minutes or less. Congratulations, you are now on the latest M33 custom firmware! For now this is the end of this guide. 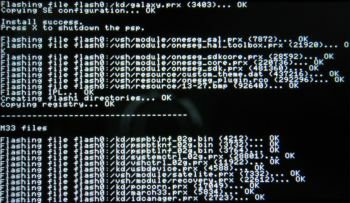 However, as soon as a working exploit appears for the PSP-3000, you can expect us to cover it!